Here at Decca, we’re always on the lookout for new ways to give something back to the community we call home. Each month, we strive to find some way to help our community. Recently, our client Cisco pledged $50 million dollars to help fight homelessness here in Silicon Valley. That’s huge! The Mercury News reported that this is the largest contribution a tech company has ever made to the cause. That makes us even more proud to be associated with Cisco. Although our company is a much smaller company than Cisco, we nevertheless strive to find some way to make our community a little safer, a little friendlier, a little better, for everyone who lives here. Pro bono design work for non-profits who seek to make a difference in community lives like TeenForce, Monkey Tail Ranch, and Stroke Awareness. 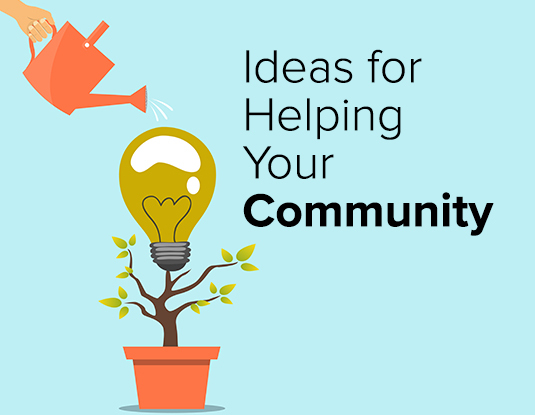 We hope these examples will serve as inspiration as you think about how you might give back to your community this summer. Generosity is good for anyone’s image, and even better for the soul. Whether your business volunteers its staff, sponsors a donation drive, or simply writes a charitable check, every little bit helps. And if we all do our part, it’s certain to make a big impact.